Love your hair? 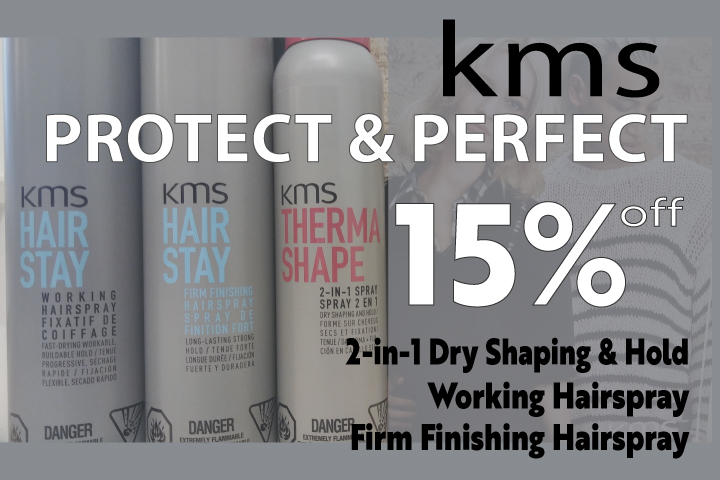 Perfect and protect it with these sprays from KMS! For 15% off until May 2019. Choose from any full size YonKa cleanser when you receive any full service Facial. 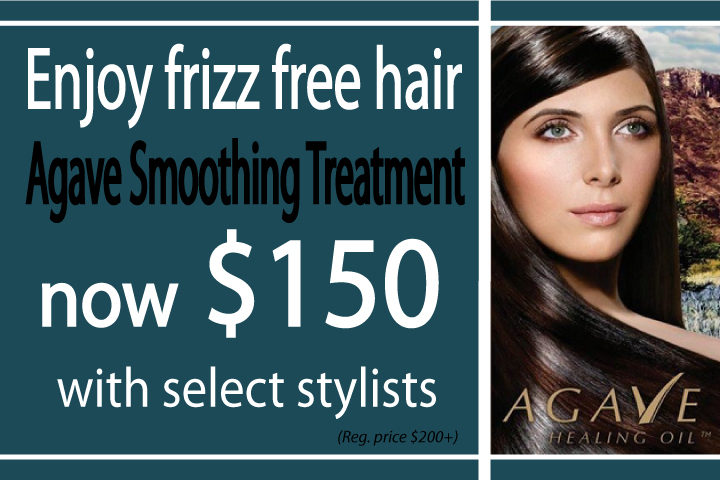 Space is limited, so request an appointment today. 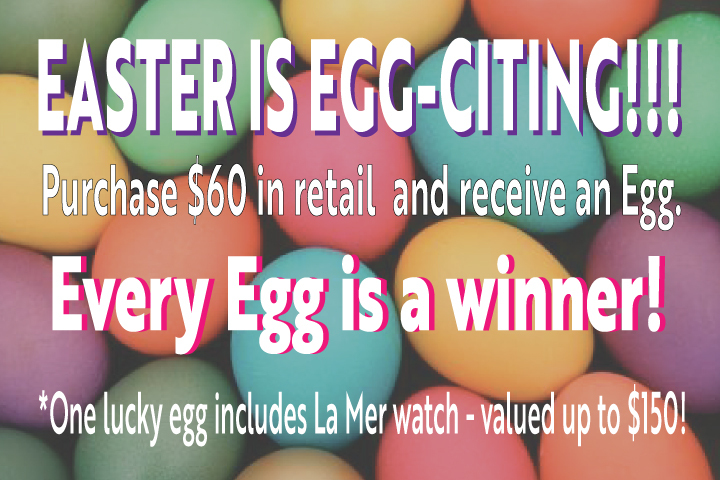 Extended until April 30/19. 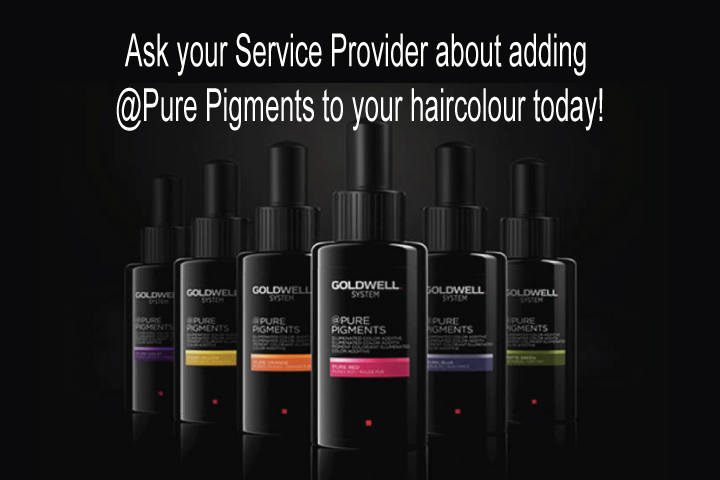 Goldwell Pure Pigments marks a revolution in hair colour. Adding Pure Pigments to your colour service can give you 63% more shine, boost your colour intensity and make your colour 2 times more resistant to fading! The possibilities are endless. Ask your colourist how to customize a colour just for you! 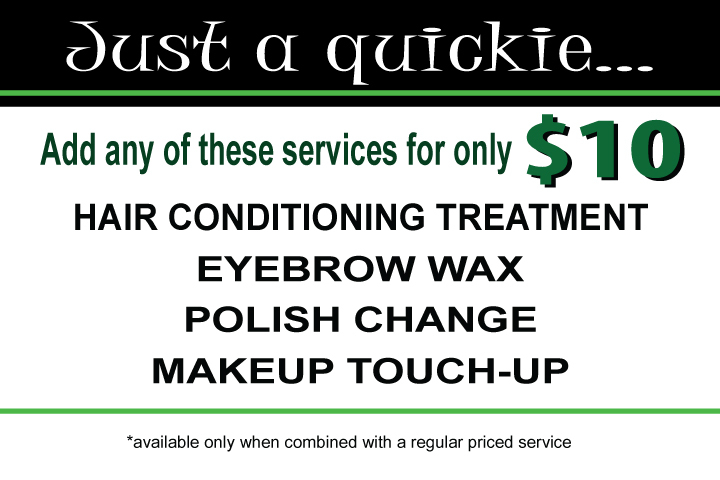 Introducing Just a Quickie.... Add any of these services to your existing regular priced service visit for only $10 each! 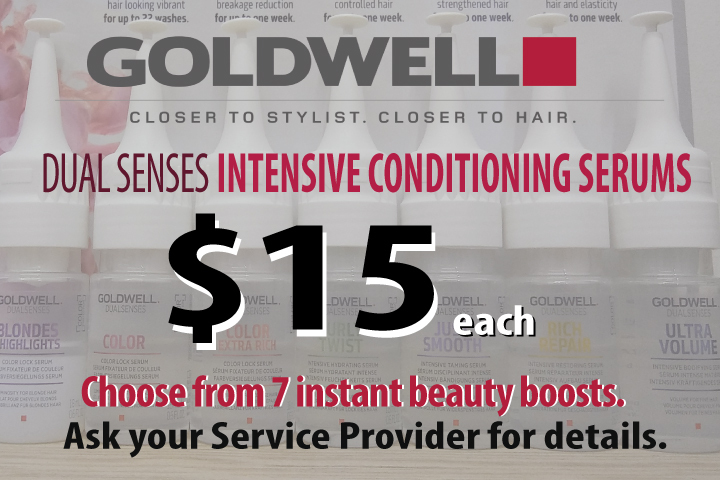 Enjoy a relaxing conditioning treatment or lock in your new colour with a Goldwell Color Lock Serum. 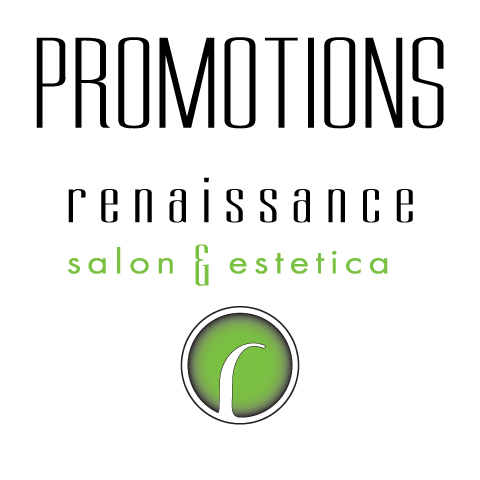 Choose from an eyebrow wax, polish change, makeup touch-up or all 3! This promotion is a great way to try a new spa service for the first time.